Whipple Auction & Realty serves all of Northeast Ohio in real estate sales, based out of Canton, OH in Stark County. Our full-service, tech-savvy approach and honest, dedicated staff make buying and selling fast and easy. This website features a full MLS database search and will keep you updated of new and reduced listings in your market. The Canton/Akron Area and Northeast Ohio is one of the largest concentrations of real estate in Ohio. There are thriving metropolis's like Canton, Akron, Cleveland and Youngstown, and bustling cities like Massillon, Alliance, Warren, Cuyahoga Falls, New Philadelphia, and Ashtabula. Northeastern Ohio is home to hundreds of quickly growing towns and villages like Tallmadge, Medina, Salem, Wooster, and Brunswick. The area is known for it's quiet rural areas and has many fond destinations for the weekend tourister. Whether you take Interstates I77, I76, I71, I241, I80, I90 or you use the state routes Rte 30, Rte 21, Rte 62, Rte 8, or you use any of our infamous byways, it's always easy to get where you want to go. There's fishing and boating on Lake Erie or one of the dozens of lakes in the area. You can take a trip to amish country or see a theatrical performance in downtown Cleveland. You can take a scenic drive on the original Lincoln Highway or enjoy some of our trendy shopping centers. From local breweries and wineries to restaurants, nightclubs and even a casino, there's never a dull moment in Northeast Ohio! Business is booming as many industrial and service companies call the area home. The local universities, hospitals, and libraries keep our residents healthy and wise. With 2 regional airports and 1 international airport, your wordly destination isn't far from home. Pennsylvannia and West Virginia are only a short drive away. Thousands of small businesses are thriving and creating jobs and large corporations are providing the products and services we want. The cost of living is low and that makes life a bit easier. Our park systems are top of the line, complete with waterways, trails, and even a scenic railroad. 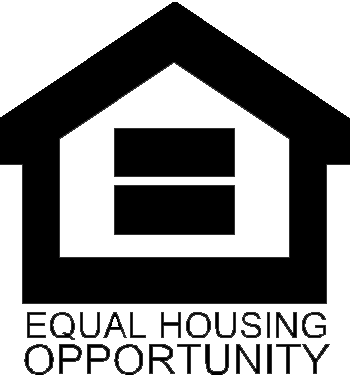 The residential real estate available is among the most diverse and affordable in the nation. You can find historical mansions, quaint city bungalows, or sprawling country ranches. There are quality craftsman built homes, elite luxury estates, and easy maintenance properties. The selection is unbounding and prices are unmatched. Our company is familiar and knowledgeable of the area, including it's real estate values and inventory available. We have a large database of buyers looking to buy right now. Give us a call and see how the Whipple team can work for you. Well taken care Ranch. No steps **Everything in one floor** Spacious rooms, ceramic tile floor and carpet in the bedrooms. Good location, close to Brookpark Rd. This property is situated on a wooded lot and is being sold as is.